Last week, you all received a request to respond to a survey via e-mail from Medtrade. They are asking for your thoughts about the show. Please find the time to respond because your input will help build Medtrade many notches higher. “Looking for cutting edge products that fit the Long Term Care Industry.” Mike Janiszewski, Direct Supply, Inc.
We want to hear from you too! Please respond to the survey. There are many ways to become better known in your community and in this fashion earn recognition for your company. All of the many groups you can consider joining can be a Rotary, Kiwanis or Lion club, a school PTA or the library, just to identify some for you. Please become a member of these as an individual, not as your business and when you prove to be a “worker” that then reflects back to your company. A DME/HME dealer I know in upstate New York founded a boy scout troop with his minister some years ago. The church had large facility to hold the meetings and many scout activities. The troop grew and they developed a cub pack. Both grew and became well recognized in town. Without ever mentioning his company his business grew. The community showed their appreciation by shopping at his home care location. There also are very important business groups like the Chambers of Commerce. These are where you can become more well-known as Home Health Care provider where everyone knows your name. Here you will find the Home Health Agencies and the Visiting Nurse Associations. You will also find that you will be sitting with executives from the local hospitals, MDs, pharmacists and other professionals. You have to join to know these people on a better level, as equals. All of the above suggestions are to make your name and the name of your company recognized as an integral part of the community. It works! But there are other associations, which you must join. You cannot protect your company alone! You need a strong army that will lead the battles with CMS, Medicare, Medicaid and everyone else who is your enemy. I am referring to the state DME and the national associations. Without their support you will not have the where-with-al to join anything. So I also ask that you contribute for your protection by joining! Without your dues they will be unable to maintain their efforts on your behalf. Become a JOINER! Stand Up for Homecare Spring 2012! It is now a recognized reception at a Medtrade Exhibition. The first evening, under the sponsorship of AAHomecare, their major fundraiser, is this gathering. To my pleasant surprise more than 200 people attended. They represented every segment of the industry; dealers, providers, exhibitors, state associations and publications. The room was filled to capacity. I am sure that I participated in every one over the years, but this one in Las Vegas was something different and exciting, so many new faces! Another generation, a new and active one, and they are becoming the doers and the movers for the future of DME/HME. This is fantastic! The current leaders are teaching them the ropes and are their tutors. This augurs well for our profession. Knowing this as I fade out in the next year or two, I am aware that our profession will continue to flourish. Hearing Joel Marx and Tyler Wilson’s clarion calls for the future was well received. As a profession DME/HME will continue to grow. But I must say, “thank you” to all from both Thelma and me. Your kind words are appreciated. In our previous blog “What I Learned in LV,” I wrote about the importance of belonging to your state DME associations. All of this applies and is equally important for the national associations. I have always supported AA Homecare, going back all the way to the time Tom Antone was President. Every dealer and provider now must show his support. With your company’s interest at heart, they will be able to continue as the voice of DME/HME in DC. If you are not currently a member of a national association, please do so STAT, There is too much at stake not to join, it is your livelihood! I Stood up for Homecare, now it is your turn! There is no question that our industry is doing a fabulous job representing you in Washington as well as in the state capitals. They each provide the tools, information and handouts necessary to influence to the legislators. They also ask to get your customers, family caregivers and employees similarly involved. These combined voices are heard and you can see positive results in both the state capitals and DC. But the biggest difficulty is there are not sufficient funds available to do even better! If every DME/HME dealer was a dues paying member of both their state and a national association we could really become much more effective. I was appalled when I discovered the low percentage of members who currently belong to their state DME association was much less than I anticipated. To exist in such a confusing market and to protect your business then membership in these associations must be closer to 100%. Why is this the situation? Certainly the costs of becoming a member are minimal. Your accountant will show you this is a most important part of your operating costs. Membership in the associations are a critical element for running an efficient and successful business. There are no longer any legitimate excuses for not joining. Every dealer must pay rent or close their doors and equally important you must pay dues to these associations to protect your investment. This is what I learned at Medtrade! I thought we had a great deal of excitement yesterday, but today was even better and there is much more that I can share with you. 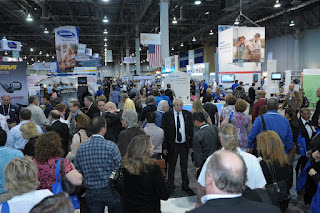 I am one of the few who have been able to attend each Medtrade exhibition from its birth. It has changed dramatically, same as has our industry. You can in no way compare the first two “shows” in Atlanta, first in the Congress Center and then in the basement of an old Marriott Hotel, with what you see now at the Sands Expo and Convention Center in Las Vegas. What we must all recognize is that Medtrade has the ability to change with the times. In the beginning these meetings were a great place for vendors to show their wares and dealers to make some excellent deals. This is still an integral part of Medtrade, but slowly the importance of speakers grew to where now there are not many rooms still procurable. The seminars have become magnets! 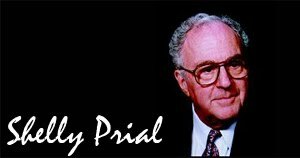 The first one I attended, many years ago, was with about a dozen associates. Today, many of the seminars are usually SRO (standing room only). The faculty who are presenting today at Medtrade is without a doubt the finest of the industry! This year there was much to learn at the Washington Update. Our industry is blessed by the quality of publications available, but seated with peers and listening and then being able to discuss current events is unavailable anywhere else. This year dealers were concerned with their ability to respond to the new legislations, competitive bids and reducing reimbursements. 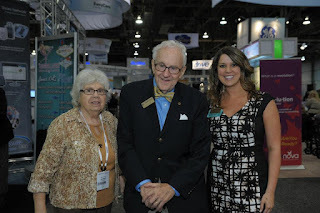 They found experts with answers and ideas at Medtrade. A walk through the New Product Pavilion and the Retail Design Center opened better opportunities and methods to expand sales and increase profits. Isn’t that why you came to Medtrade? I can go on about this, but I have to leave much to the industry magazines. They do a much more complete job than I can in a blog. All I have to say today to those few who did not find the time to come to Las Vegas is to please start preparing now for the fall Medtrade in Atlanta. Now I know how it feels to be a kid in the candy store? 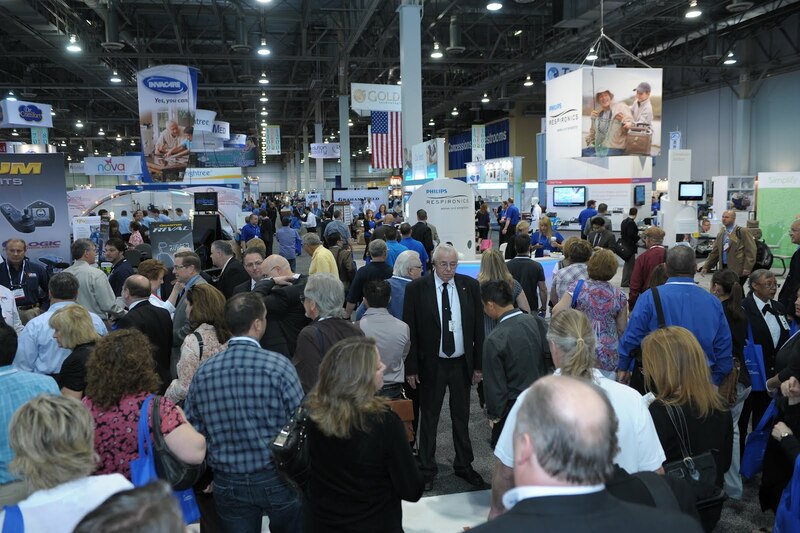 When I entered the exhibition floor at today’s Medtrade Spring there were so many exciting things jumping out to me that it was hard to know where to begin. Like all the attendees I felt a great deal of emotion, exaltation, excitement and inspiration! But mostly what I saw staring everyone in the face was OPPORTUNITY! Every DME/HME dealer that I spoke to as I meandered on the floor was very aware of the need for OTC cash sales. They were there! There were many new opportunities, new promotional material and new ideas for how to bring customers into your showroom. I reviewed the list of seminars offered and wished I could attend each of them. The size of the audience I saw in the lecture rooms indicated that my feelings were not unique. Dealers and providers came to learn and they found much of what they sought available at Medtrade. It was like attending a major university and earning a new degree! The Annual AA Homecare “STAND UP FOR HOMECARE FUNDRAISER RECEPTION,” always held the opening evening at the Medtrade exhibitions was fantastic. The camaraderie, friendship and concern of the attendees was reassuring. All of the shakers and leaders of our industry were sharing ideas and thoughts with one another. As anticipated we heard so many excellent ideas and thoughts for the future. Just attending this reception is one of the keys to the success of Medtrade Spring. I hope that all of you feel the same as I do. Without Medtrade we would not have the major resource that both protects and helps us expand our local operations. Please be sure before you return home that you have not missed anything that can benefit your operation. Of course, please thank the exhibitors, the state and national associations, the publications, buying groups and everyone else who has made this possible. Just think, as you are reading this, the doors to Medtrade Spring 2012 in Las Vegas are opening. If for any reason you are not at Medtrade now, you can still attend. Entrance is available to all; come and be part of the excitement! As usual, there are so many opportunities, people to see, exhibitors to visit and meetings and seminars that must be attended. The days are not long enough to get to everything and yet most participants somehow manage to do that. Even at my advanced age, I am able to make the rounds efficiently. The exhibit floor is designed to give you that opportunity. I want to see as many friends, associates and attend as many meetings and seminars as I possibly can. I am able to accomplish that and so can you! If you bring with you enough of your team, be sure that every class offered that is applicable to your company’s operation is attended. Key vendors and new products must all be visited. There are the special “Spring Conference Sessions” offered several times daily, so include them in your itinerary. Of course, there is the Annual Homecare “Stand Up for Homecare” to support. Do not miss the Washington Update. Make sure you stop by the state associations, the buying groups (VGM/MED), AAHomecare and NAIMES and please tell them “thank you” for the great support they give you and our industry. How are you helping your seniors? I am aware that we have often spoken about “senior citizens”. They are the fastest growing segment of customers for DME/HME dealers. The so-called “baby boomers”, the generation created after WWII, are now becoming senior citizens. I am a senior citizen, 85 years old, and I participate in as many senior programs as possible. I am not alone! The number of attendees at these programs is growing. Are you, a DME/HME provider, catering to this vast number of potential customers? Seniors appreciate communication. They enjoy reading e-mails, but object to them being obvious commercials. They look forward to receiving helpful hints about living in their homes, not having to be in an institution. I spoke to a very active dealer at Medtrade who explained how his company developed a big following in his community. They started a series called, “Living at Home.” This was sent to all of his clientele over 65 and their family caregivers. A message was e-mailed every two weeks. Each message dealt with simple things elderly could do at home. Topics ranged from working in the kitchen, bathroom, bedroom and other rooms. suggestions. They were each asked to write one of these “Living at Home” messages. How this changed their operation is so interesting. Nearly all of the seniors shared these messages with their friends and so the mailing list of recipients grew, as did the number of customers who shopped at their location. At Medtrade you will find so many products that you can use in your program and you, too, can reap a fine ROI from the senior citizen clientele you service! When you make any changes in your DME/HME company operation and it is successful, that move is usually permanent! Problems can happen when any change is made in haste without proper preparation. When it does not work out as anticipated, the opportunity is lost! Las Vegas will be her first one. Her enthusiasm is high! She wanted to know to whom she should visit while at the show? I told her to seek out the companies she currently buys from. Meet them and tell the about her operation (her company is less than a year old). Then I recommended that she look at all the vendors to see which other products fit into her operation. She wanted to know if she could attend the lectures and seminars without having registered for each. I explained that these seminars are an integral part of Medtrade. Hearing that she told me now she would bring a staff person. She realized that could earn her a good ROI! Sometimes you forget that there are many opportunities waiting for you on the showroom floor. Yes, Medtrade is also a great social event where you will meet many friends and peers. At the exhibition everyone will have to have the ability to find new products and new services. All of these will enhance your business and increase your profits. 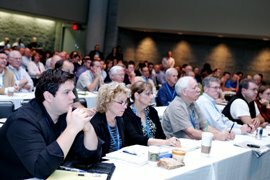 Another major benefit at Medtrade is the ability to meet with the industry associations, buying groups and publications. There is nothing that compares with what you can get at Medtrade; new opportunities and great ideas for changes! Seek and ye shall find. I hope to see you all in Las Vegas!